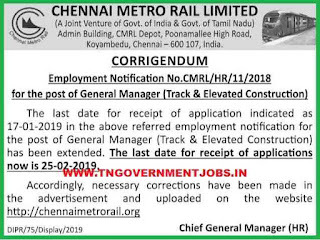 General Manager (Track and Elevated Constructions) - 1 Post recruitment by deputation basis. Qualifications Required : IRSE Officers (in Group A) presently in SAG and above level with minimum 16 years of experience in Railways / Metros / Central Govt. Organisation. 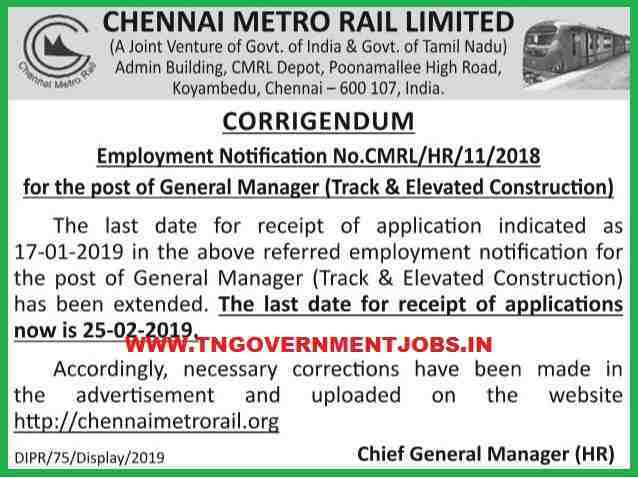 Job requirements : Experience in Constructions and Maintenance Tracks, Bridges, Viaduct, Contract Management, Installation and Commissioning of turnouts and also have coordinated with Operating, Signalling, Rolling Stock and OHE departments. Interested and eligible candidates are requested to apply with prescribed application form.